Looking for the best places in the world to live in will need a little bit of research. Mercers Quality of Living Index has modified the previous 215 records of the best cities to live in into 221 cities in the latest survey. These places have passed the criteria of safety, education, environment, recreation, public transportation, culture, hygiene and heath care programs as well as political economic stability. 1. Vienna, Austria. With the total rating of 108.6 Vienna Austria is the world’s top place to live in. 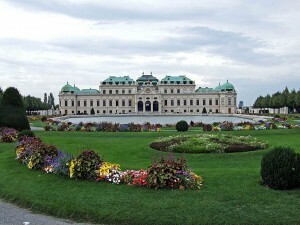 For the second time around, Vienna was named as the World’s best place to live, according to the Mercer report. Its famous opera houses, hospitable business community and the huge arrays of means of transportation, clean and green environment are one of the biggest assets of the city to be on top of the lists. 2. Zurich, Switzerland with the rate of 108, the second best place to live in the world. It is known to have a pleasant, natural and clean environment. This is the safest place on one. Just like what the Mercer consultant Rebecca Powers said, you cannot find any place to be safer if you can’t find peace here in Switzerland. 3. Geneva Switzerland. Rank as third with the total rating of 107.9. Free from any hostile conflict and a naturally clean environment makes the city the best place to live in. 4. Vancouver, Canada. Tied between Vancouver and Auckland with the rating of 107.4. It is the most populated city of Canada. The established gas town, the logging sawmills friendly people and large natural seaport as well as the good means of transportation makes this city a nice place to live. 5. Auckland, New Zealand. At par with Vancouver with a total rating of 107.4 both. It remains as the highest ranked city in particular Asia- Pacific, followed by Sydney as 10 and Wellington as 12. 6. Düsseldorf, Germany. Is 6th in the rank with an average rate of 107.2 infrastructure – the category of German cities such as Düsseldorf, Frankfurt and Munich. According to Mercer’s research, German infrastructure is among the world’s best. 7. Frankfurt, Germany. Tied with Munich Germany with an average rating of 107. Business, economy, infrastructures and transportation accommodation are one of the main features of the Frankfurt to become one of the best places to live in. 8. Munich, Germany rating-107. Located at the Bavarian Alps is the rank 8 of the world’s best place to live-Munich. Its great economy status, widespread means of transportation and tourist destinations have made Munich to be one of a kind city to live in. 9. Bern, Switzerland. The 9th in rank with the rate of 106.5. Numbers of notable people, etymology, and legend and infrastructures category qualifies Bern to be one of the top. 10. Sydney, Australia. The last but not the least is Sydney Australia with the rating of 106.3 in the survey. Hundreds of attractions and tourist destinations as well as the nightlife and fun are some of the reasons why Sydney belongs to the top lists.